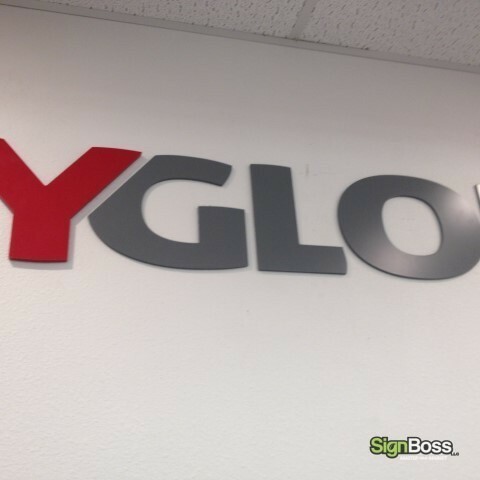 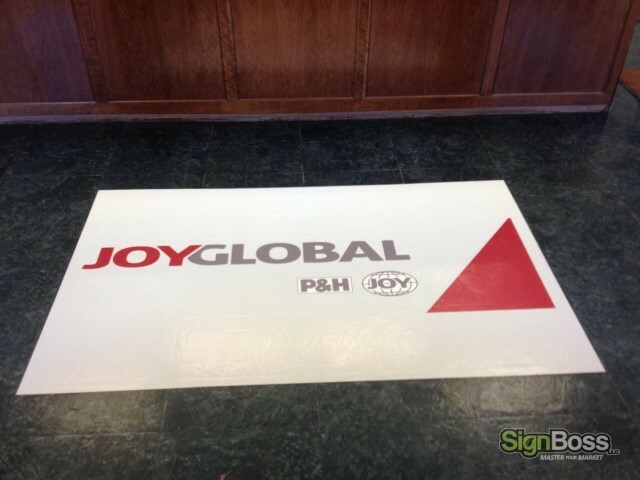 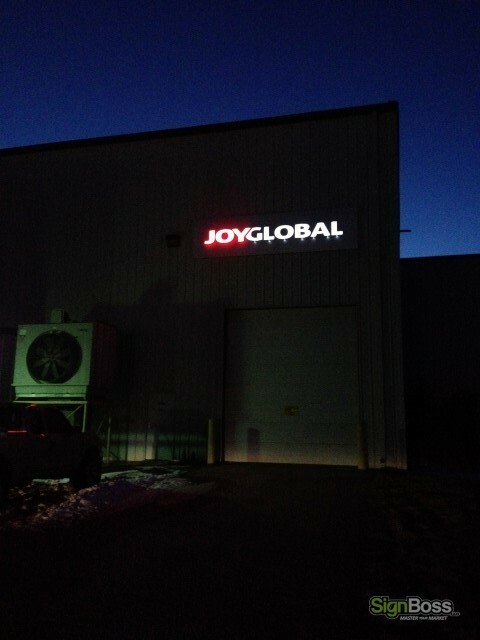 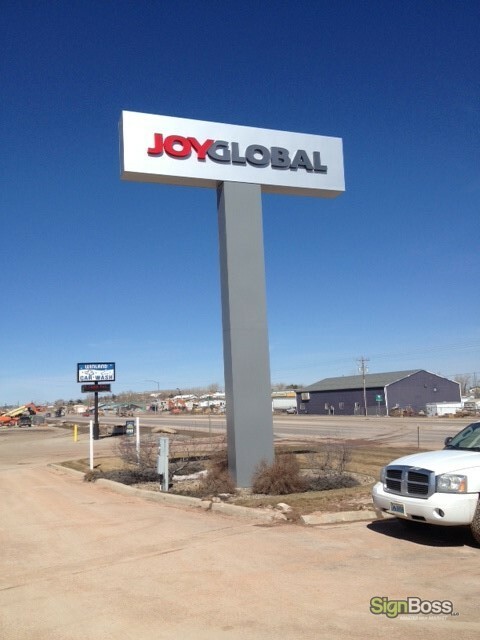 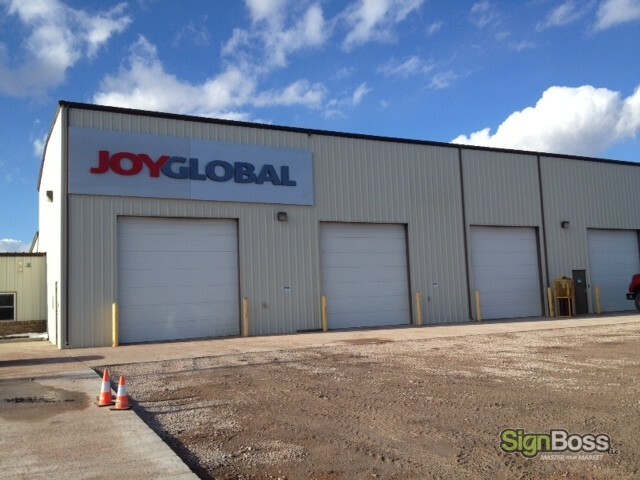 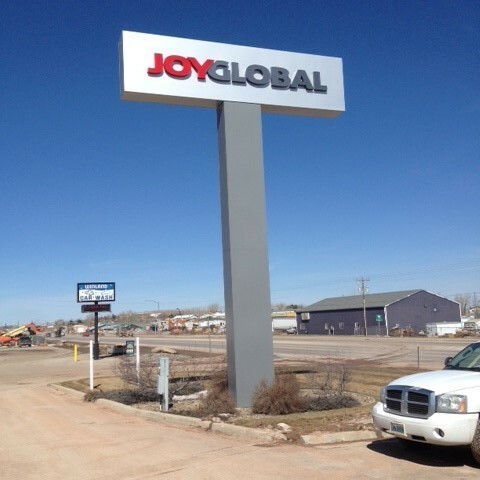 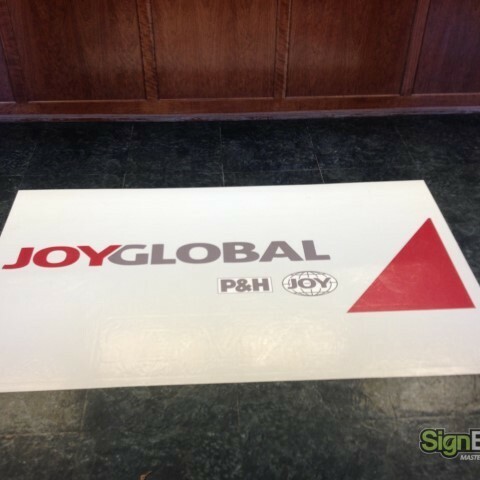 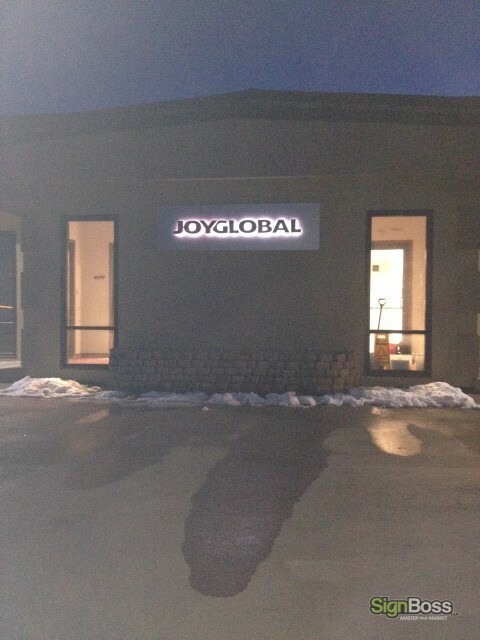 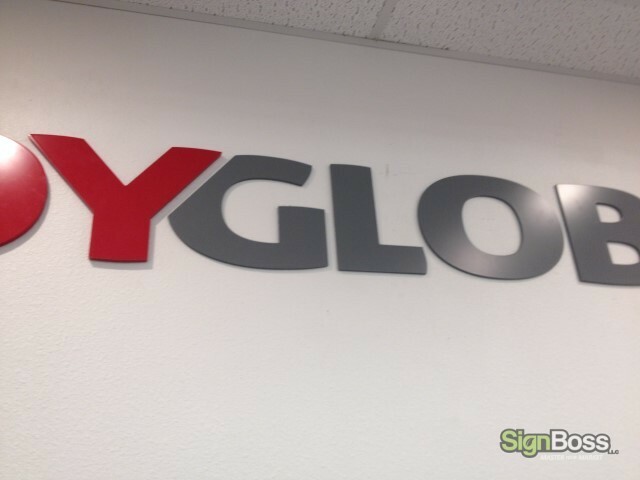 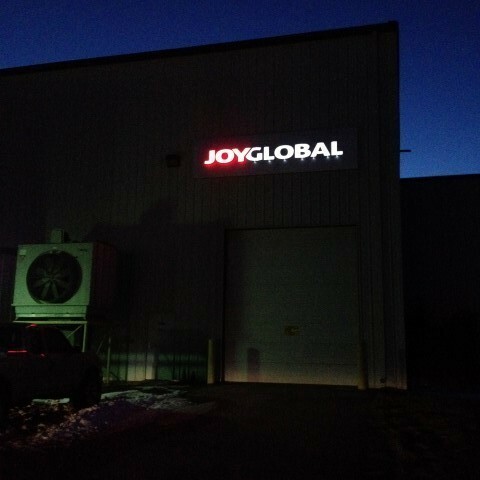 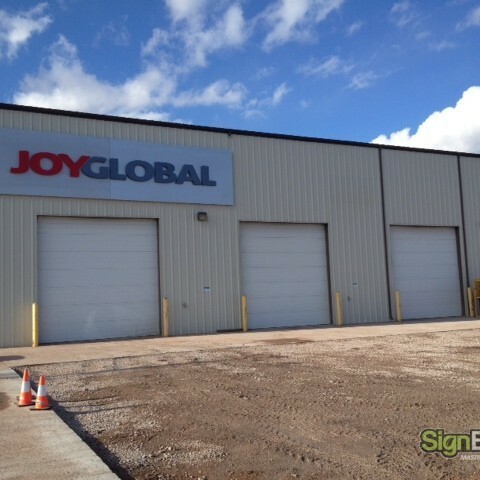 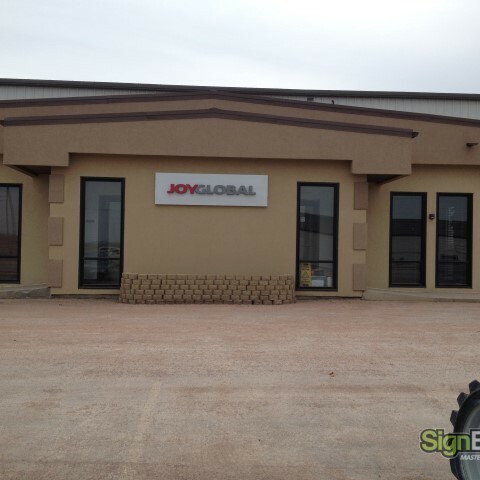 Joy Global hired SignBossLLC to re-brand their Gillette offices. 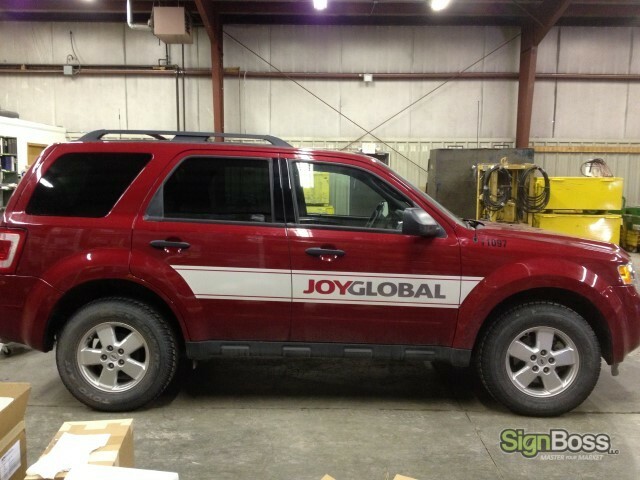 The re-branding included a pole sign, interior & exterior signage and their entire fleet. 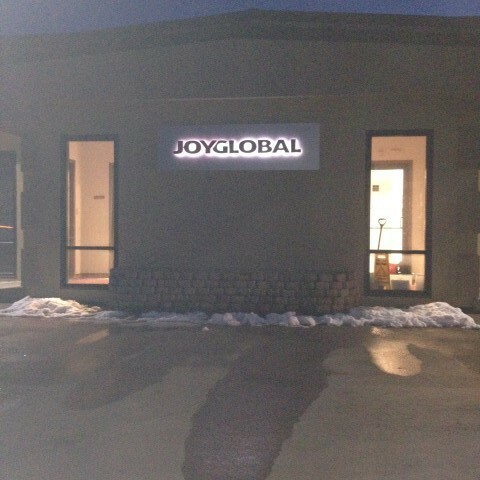 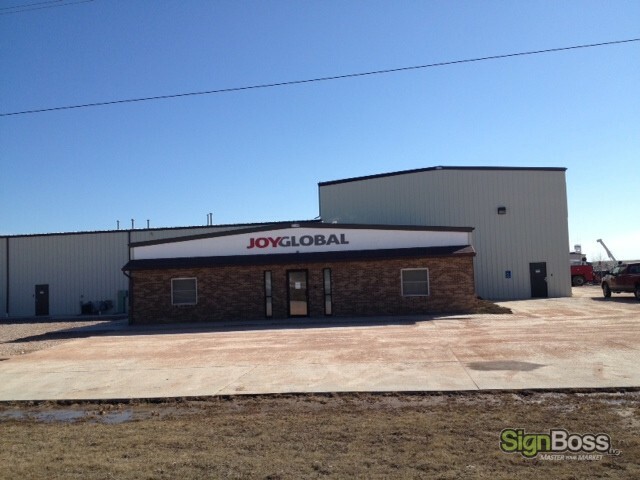 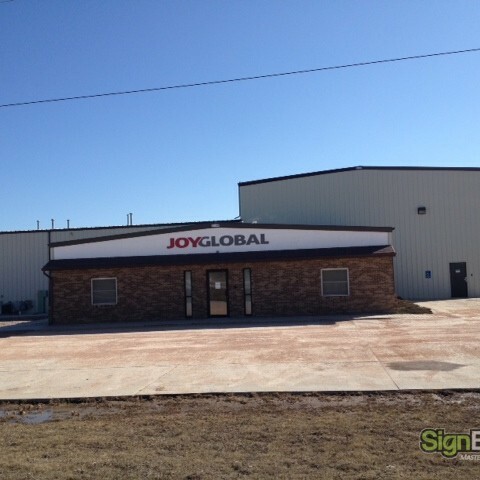 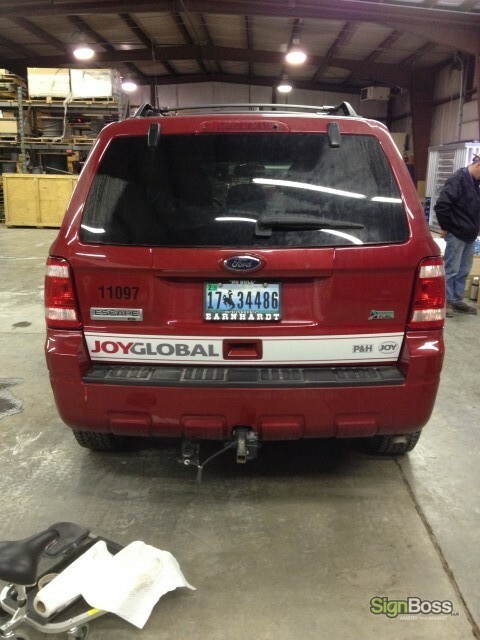 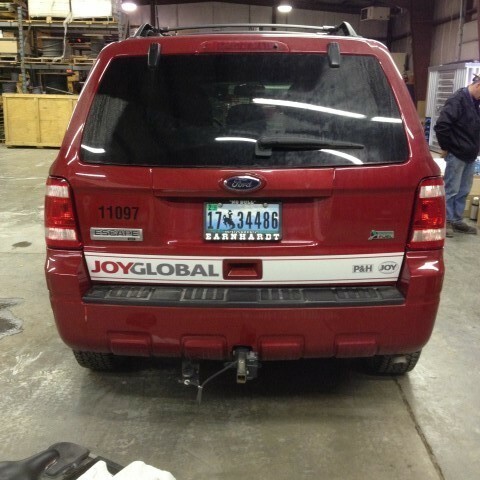 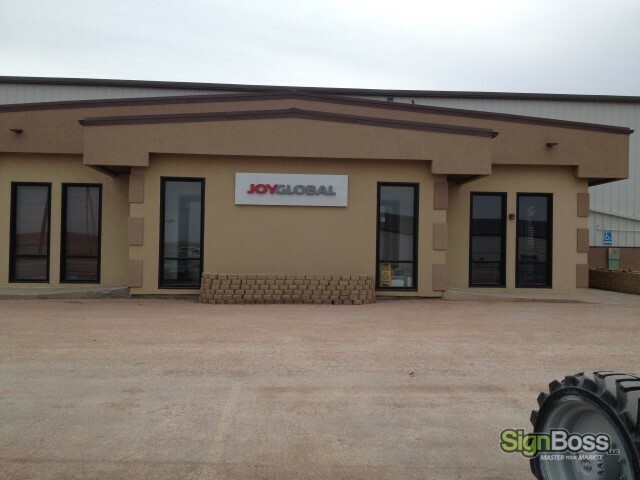 Visit their website at www.joyglobal.com. 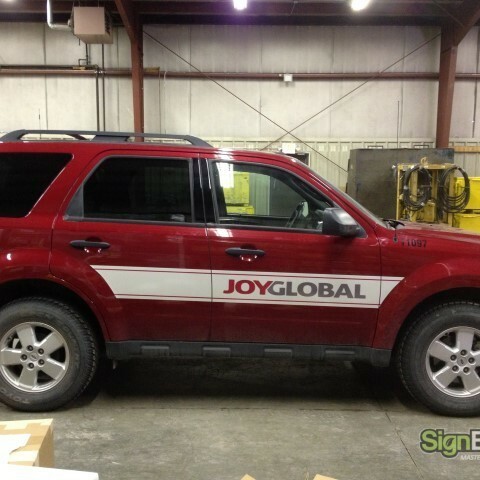 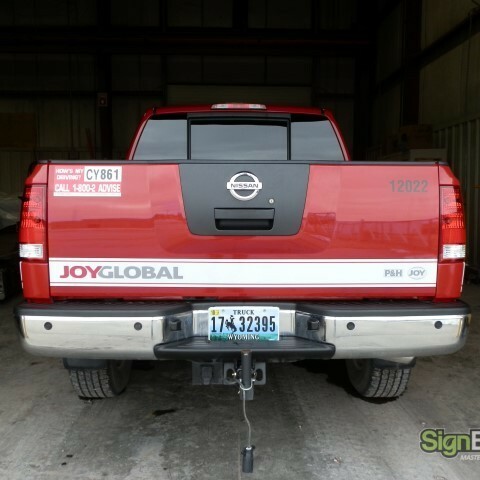 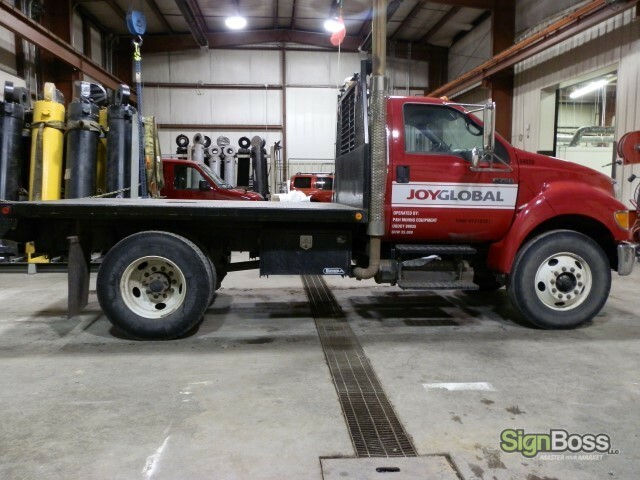 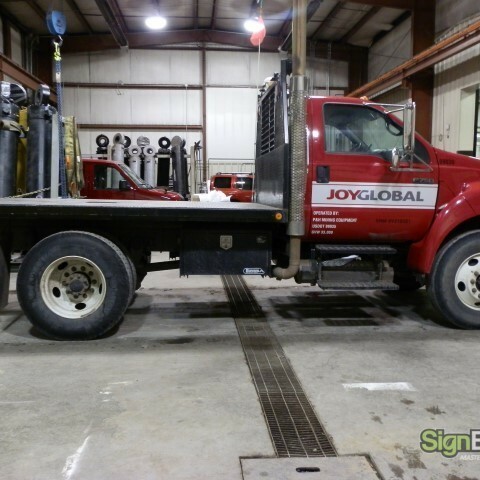 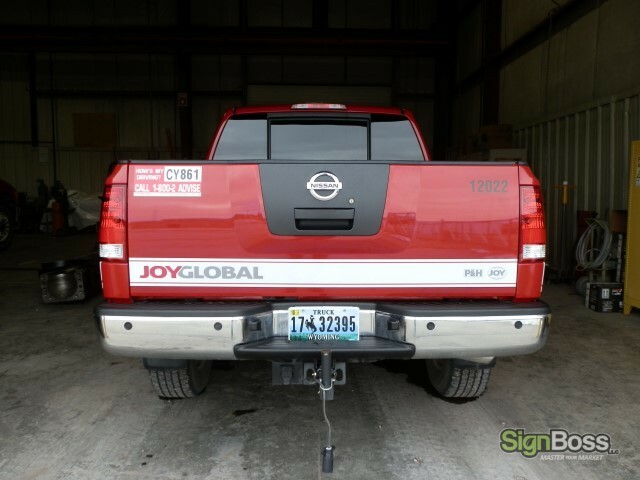 SignBossLLC was hired to do all the new graphics for their fleet of over 70 vehicles, ranging from suv’s to service trucks, which took 4 days and 5 employees. 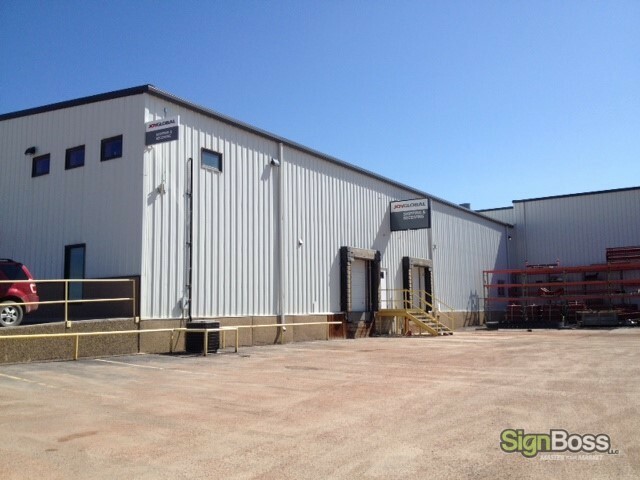 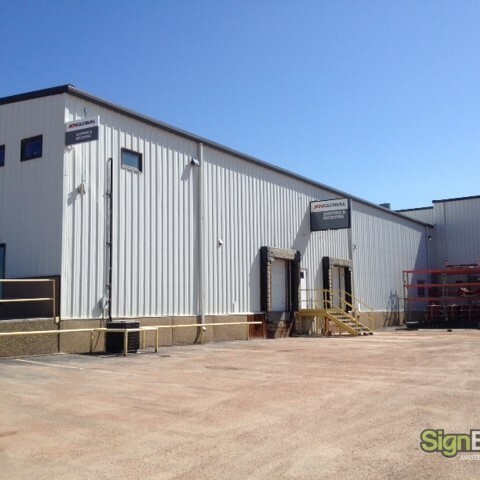 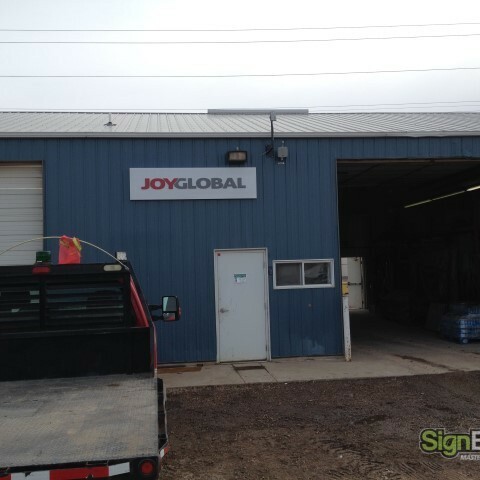 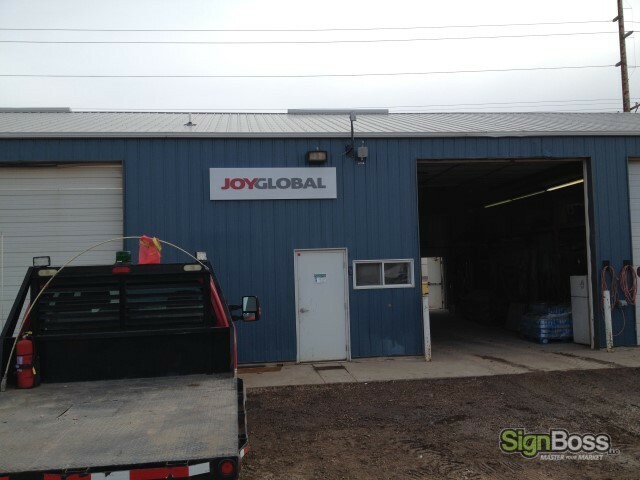 SignBossLLC also re-branded all the exterior signs by installing a dimensional letter pole sign and numerous wall signage for all their buildings. 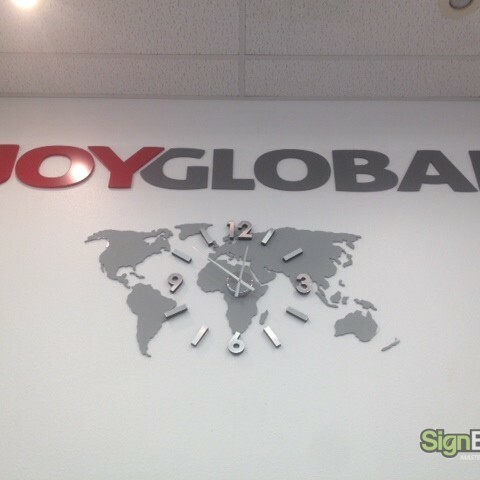 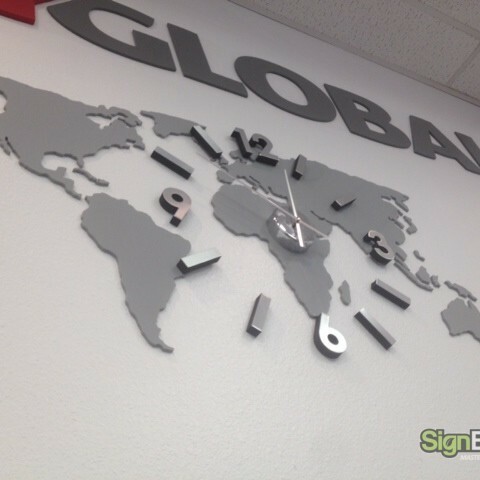 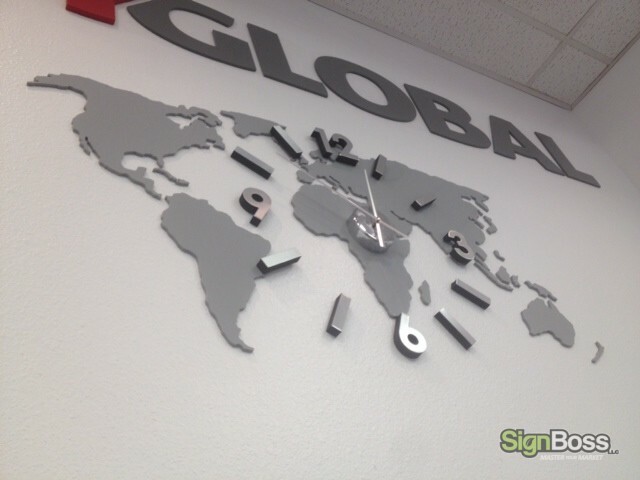 SignBossLLC created a custom lobby sign that included wall clock pieces, a dimensional logo & map, and red dots for their different locations.